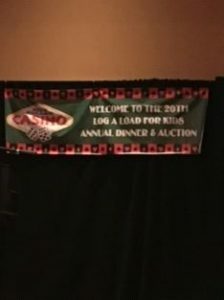 The 20th annual Log A Load For Kids dinner & auction was held in Tulalip, Washington on March 24th. The evening started with dinner then a presentation from Katie Fath, Seattle Children’s Hospital. Katie introduced the Orejuela family from Seattle, their youngest daughter was in Seattle Children’s Hospital. 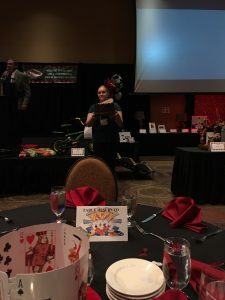 Before we began the evening, we mailed all our members and vendors and offered them a spot in our program for a sponsor fee, which raised $14,600. We sold 70 roses for $10 each and with each rose purchased they received a raffle ticket for a beautiful spa basket. 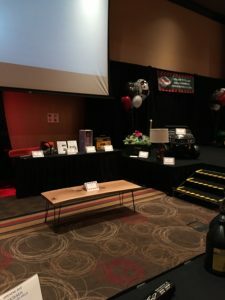 We then started the silent auction with 82 item packages and then the famous dessert auction of 18 desserts which raised $13850.00, 35 items for the live auction and sold our Log A Load For Kids Toy Wooden Log Trucks. 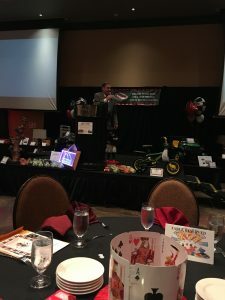 The auction raised $68695.00 for our local Children’s Hospitals, Seattle Children’s Hospital and Sacred Heart Children’s Hospital in Spokane. 100% of all funds raised goes directly to our local children’s hospitals. 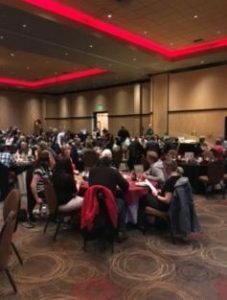 The Log a Load For Kids committee would like to thank all our supporters and we look forward to seeing everyone next year for our 21th annual dinner and auction at the Northern Quest Resort Casino in Airway Heights, Washington on March 16, 2018. I am so blessed to be a part of the Log-A-Load for KIDS committee in Washington State! The support given by members of the Washington Contract Loggers Association warms my heart at each annual auction! 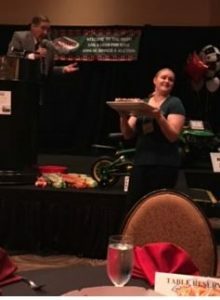 These loggers and vendors are not “buying a cake” for hundreds or thousands of dollars, they are SUPPORTING CHILDREN’S HOSPITALS! Amazing to witness!